Zwana ZS4 is a hardware & software system designed to operate in remote locations utilizing a satellite link for communication. It provides solutions for cyber security with an advanced UTM firewall, network management with Windows Server VM and an Internet cafe from prepay data. The evolving sectors in satellite communication have brought further requirements for remote locations. Standard firewall solutions are no longer a match for a threatened cyber security industry. Zwana comfortably fulfills these requirements as a powerful hardware and software server platform and industry leading UTM firewall. Load your own virtual machines to Zwana or even run provider VM’s such as the NSD from Inmarsat. Make your remote location or vessel a direct extension of your office by maintaining full control of your IT policies and applications. All configurable via remote access and online portal. Zwana is a prepay Internet café allowing users or crew to purchase or top-up existing accounts and allocate the data to specific applications such as web, email and instant messaging. Zwana prepay accounts also allow for roaming between vessels of the same company and avoiding loss of prepaid credit. 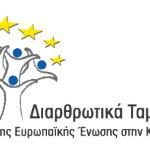 This project is cofinanced by the European Regional Development Fund (ERDF) in the context of the Plan for Entrepreneurship Innovation of the MCIT Republic of Cyprus (SEK-24). Copyright © 2018 G.M Eurocy Innovations Ltd. All rights reserved. abela is a cloud-based solution for ship managers and enterprise organisations, which enables data transfer and task allocation in and to remote locations, such as vessels or sites. Whenever and wherever needed, abela delivers optimised data in real-time to an entity’s main office via satellite connectivity. abela also provides an online management portal and interface to control and monitor tasks across all vessels or sites, thus aiding a more efficient operation, and a reduction in administration costs. One Net’s clients are invited to employ abela’s existing modules, or utilise the proprietary efficient data transfer mechanism, eMTM, with the third-party software of their choice. eMTM is a minimalistic data transporting mechanism that uses a specialised technology for exchanging compressed, encoded, and minified data. This mechanism can reduce the size of data packages, making them up to 2,000 times smaller, and therefore saving bandwidth and time on satellite data. eMTM supports resumable transport and database synchronisation particularly for working over firewalls and satellite connections. Drive: A file and folder synchronisation tool designed specifically for satellite communication, Drive is enhanced with features such as scheduled updates, selective updates, file filtering (multiple fields and levels), local caching, and versioning, which are always executed with the least possible data exchange required. Network Monitoring: This tool performs network monitoring and scanning of the various crew and corporate networks on the vessel or site, giving a clear image of the IT infrastructure in real-time. Specific features include email alerts, and portal notifications for unauthorised devices or network changes. Antivirus Updates: Ensuring that the anti-virus definitions are up-to-date and installed, this tool serves to protect the network at all times with a cloud-based distribution model, whereby it is downloaded once, and thereafter deliverable to the many remote office or workstations and servers of any one organisation. Global Positioning: This modulbe provides frequent GPS locations of the vessel, with a minimal cost of 54 bytes per update, which is very competitive compared with the industry standard of 102,400 bytes per update. The module can be used in conjunction with the vessel’s positioning software, allowing reliable position reports to co-exist with frequent or near-real-time updates. Digital Charts: Enabling all electronic charts to be regionally selected and updated automatically, the system is furthermore configurable to be able to update the charts on an on-demand basis, or via automatic updates as and when available. The Digital Charts module also removes the need for any other transfer method (such as DVD or USB drive), and provides support for ECDIS systems and planning station software. e-NPs: This module enables all electronic Nautical Publications (e-NPs) of printed nautical publications to be downloaded and kept up-to-date. The module will automatically keep track of updates (thus alleviating the chance of human error), and provides support for e-Readers and similar software. An industrial PC that meets the extreme demands of the maritime industry even for the most discerning of customers, ENZA features a heavy-duty industrial design and aluminium case with lock-in brackets that allows it to operate under extreme environmental conditions. Further to being fan-less, it is shock and vibration resistant without any moving parts. It is powered by an Intel motherboard, which accommodates all the expansion and connectivity modules, meaning that there is no need for use of third-party drivers. ENZA uses a flash storage (mSATA) disk media, which is even faster and more reliable than the revered SSD disk, and it can accommodate Wi-Fi and Gigabit Ethernet, along with boasting seven USB ports, dual screen support (VGA and HDMI), and two COM ports, all of which are integrated with the motherboard. ENZA can be powered with 12V AC or DC, and its consumption is less than 17W when idle.